If you are reading this, just like me, you are hurting, you’re lost and confused about why you react the way you do and why everyone else expects you to do this that or the other or just to “get over it”. Sometimes it makes you feel like you’re going crazy, or that you are not trying hard enough. I was really lost and whilst I knew that crying was not going to solve anything, to begin with I just couldn’t stop. My name is Penny – let me explain where all those tears came from and how I found a way to get past that, and go on with my life. After the death of my mother a few years ago I found myself struggling to deal with my grief, and that of my father. I am an only child, so dealing with everything fell to me. My mother was the one who managed things, did the paperwork, dealt with the bills and all of the daily practical aspects of life. So there I was filled with my own grief at her loss, but expected to deal with the legals, arrange the funeral, deal with arranging support for my father, and try to make sure that all of the mandatory things were done. It was two days before Christmas when Mum died and that made it emotionally much harder, as well as practically very difficult, with much of the government and commercial world on Christmas leave. Death, loss and grief are some of the least understood and talked about parts of our existence! Distantly, I realised that was not a good way to be, and went looking for anything that I could find to help me deal with it, and to let me help my father cope. I realised that what I needed was information about what was happening to me. I wanted to understand why I was acting the way I was. I wanted to be sure I was not going crazy. I easily found some very basic pieces of information from the government organisations on their requirements but that was mostly dry legal stuff about what forms I need to submit to whom and by when. The on-line grief and bereavement support forums and bulletin boards were full of people who were just as heartbroken and in need of help as I was, and many who might have had the best intentions but insisted that their way of dealing with life is the only way, and that everyone else has no clue. I spent a lot of money on grief therapy sessions and spent a lot of time with the local priest – both the therapist and priest were well meaning and helpful people but I quickly I realised that they simply put forward the same information over and over again (and it was their view of things , with no flexibility to deal with how I saw the world), expecting me to just accept it and “get over” my grief. There was no information available about why I and my father were reacting and acting the way we were, nor about what to do, how to understand and move forward. What little I found was either opinion, very locally focused, or put forward from one perspective only, There was no allowance for different needs, beliefs, backgrounds or cultures. There just had to be a better way! I was determined to understand what my father and I were going through so I started to do my own research. I read many books as I could find on grief (and there really were not many) and spoke to other people who were also in the process of coping with grief. As I did that, I came to understand that, at some stage in our lives, we all face the loss of someone, or something, that we care greatly about. I also realised that in almost every case, there is absolutely nothing that we can do to prevent that loss, or change the circumstances in which it occurs. Inevitably, then, we all must deal with the fact that, no matter how devastated we feel by the loss, the world around us will go on as if nothing had changed. I spent literally years of my time, and many thousands of dollars, researching grief and learning all I could to help myself heal. There was nowhere that gave an in-depth set of information on the subject, in easy to understand terms to help me. I had to read hundreds of articles and books and search out each piece of information individually. “Coping with Grief” is the book that I wished I had at the time! Once I had put all the information together, I understood that what I was feeling was normal! This allowed me to regain control of my life and deal with my grief step by step. I learnt that there is no one “right way” to grieve for those we have lost, and that grief affects us all in different ways. What my father and I were going through was a normal and natural process. I also realised that there was no need to be angry with my father, or myself. I came to understand that my husband and children and my friends were feeling just as helpless as I was. All of them were trying to help me, but none of them knew how to do it in way that made sense to me. As time passed I resolved to find, and bring together, that information that I had so desperately needed, to make it available for others. This is why I wrote “Coping with Grief”. What I am offering you is the information and the knowledge that will help you understand that grief is a natural reaction to death and loss. Knowledge that will help you understand why you feel angry and helpless, why you have trouble sleeping, and why simple things seem to be so hard to do. 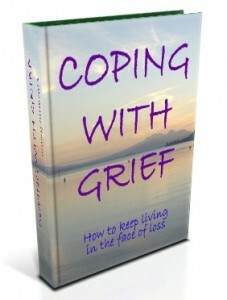 Real, Practical Information – The things you need to know and understand to help you better cope with grief and loss. Emotional Processes – learn how your mind deals with, and processes loss. Social interaction – learn how to maintain your friendships and deal with social groups whilst you are grieving. How to support loved ones and friends – learn how to support your family and friends without letting your stress and emotional reactions damage your relationships. Cultural Awareness – understand how persons from different cultures and different religious backgrounds react to, and deal with, loss and grief. Know that each person’s approach is right for them, and their background. Medical Support – know when to seek medical or professional psychological support, or to encourage your loved ones to do so. All of this in one easy to read package, which you can just download and use in the privacy of your own home, with no need to expose your very personal grief to a therapist, or even to your family, until you are ready. Without the need to spend long hours searching the libraries or the Internet and trying to separate useful facts from mere opinion. You can benefit from all those years, and thousands of dollars that I spent finding and consolidating this information, today. why you feel and react as you do, and how to cope with that. 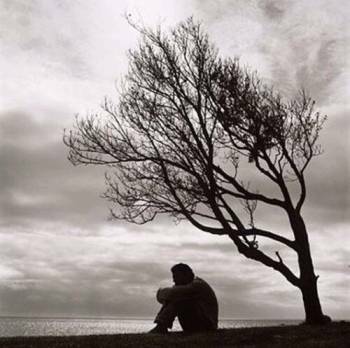 what to expect and how to react to a family member or friend suffering grief and loss. “Coping with Grief” provides YOU the information that you need to understand yourself, regain control of your life and choose the best way for you to recover from grief and loss. I have spent years, and thousands of dollars, doing the research and putting “Coping with Grief” together. This is a huge eBook of 85 pages, packed with essential information. The benefits that you will gain from reading this book are a great investment in your emotional future – understanding of your reactions (and those of your loved ones) to grief, the ability to cope more easily with your grief, ideas and insights for understanding others reactions, and an awareness of the things you need to do to cope when stressed, and all this at a fraction of the cost of what a therapist session might cost you. For the information in a book like this you might expect to pay thousands (after all, I did, over a couple of years!) but I am not going to ask for that. I am not even going to ask for the $49.99 or more you might expect to pay for a huge ebook like this on most subjects. Because I want to help others by making sure that no-one has to go through the confusion that I did, I have kept my price as low as I can ( I do have to charge something, to recoup some of what it has cost me to put this together and what it costs to share my story like this). If you or a loved one are suffering from loss and grief, don’t miss out on this limited time offer – get help today – understand your reactions and start the healing. This is an investment in your emotional future.. Do not miss out on this opportunity. Understanding your responses and those of your loved ones is the key to coping with your grief and changing your life for the better. Start your healing today. © 2019 Coping with Grief.